Are Smartphone Processors Really That Important? If you go back ten years in mobile phone history, the technology behind the screen of your device didn’t really matter. So long as you could make and receive calls, send messages and access the internet, you weren’t particularly interested in the hardware. We all probably had a vague awareness that different manufacturers were using different chipsets and processors, but it didn’t concern us. We might have cared about the type of processor that was hiding inside our laptop casing, but it wasn’t so much a concern with our phones. Fast forward to the present day, and they’re suddenly a topic of conversation. While once a phone would be sold around its lightness, battery length, and screen size, now a sales adviser will go into detail about the processing capability of the technology inside the phone. We’ve moved into the age of dual-core smartphone processors, and companies who make them are very keen for you to know that they have the fastest, strongest and most capable processors on the market. Samsung made almost as much noise about the processors as they did their folding screens when they introduced the S10 5G and the Galaxy Fold. None of us want to feel like we’re being left behind by the latest technology, or that we don’t understand what’s going on. If someone tells us that a hyper-powerful processor is a new smartphone essential, we’re likely to believe them and pay the price to secure the shiny new equipment. But does the processor really make a difference to the experience of the average customer? And if so, how? Even though you may know what a processor is, you won’t necessarily know how its role in your phone works, so we’ll start at a basic level. The processor is effectively the engine of your smartphone. The more power it has, the more things your smartphone is capable of doing at once. A weak processor means performance will be slow. A strong processor means your phone will be quick, responsive and capable of dealing with several apps at once. A lot of you will correctly be thinking that your phone is capable of this already. Any high-quality Android or iPhone released in the past five years should still be capable of competent performance with multiple tasks running, and reasonably responsive speeds. If your phone can cope perfectly well now – and always has done – why would your next purchase need a more powerful processor if you’re not planning on doing anything different with it? So processors really do matter? The answer is that we tend to do more and more with our phones, even if we’re not conscious of it. Ten years ago, your activities were probably limited to browsing the internet, making calls and sending messages. Now, you use it for multiple additional purposes. Most of us are using banking apps regularly. We have additional messaging apps, like WhatsApp and Snapchat. Instead of casually browsing the internet using one browser, we have individual apps for Instagram, Facebook, Twitter, eBay, and Amazon, among many others. On top of that, our phones are used as digital cameras and mp3 players. Whereas many people will have had a separate digital camera fifteen years ago, camera sales have fallen through the floor because smartphones have replaced them. Remember mp3 players? Nobody has one anymore, because everyone streams music through their phone. When we’re not using social media apps, taking pictures, or listening to music, we may well be using our smartphones to play games. Things have moved on a lot since the days of ‘Snake’ being the only entertainment your phone came with; now there are specialist mobile versions of the latest video game releases. The casino world has got in on the action too; Mobile Slots are rapidly becoming as popular as online slots in terms of slot game entertainment. There is an enormous global market for slot games and other virtual casino features, and that market is increasingly interacting with their hobby through their phones instead of their conventional computers. All of these extra tasks place further demands on your phone’s processor. As we add more and more apps and features – and the quality and complexity of those apps and features increases – the last generation of processors will soon reach a point where they can no longer cope. Yes, but perhaps not in the way that manufacturers are trying to make you think they do. It’s evident that processors need to change with the times in order to keep up with our changing habits. The same is true of laptops – the technology inside a mid-range laptop bought this year will be dramatically different from what’s inside a mid-range laptop bought five years ago. Where laptops and smartphones differ is the sheer range of technologies that might be inside them. There are multiple firms who make component parts for computers. That isn’t true of smartphones. There are comparatively few chipset manufacturers, and they serve numerous smartphone companies. As an example, there’s a company called ARM who have close to a monopoly on building CPUs. No matter what the branding on your smartphone is, the chances are that the internal CPU is an ARM construction. It’s the numbers that you see listed next to the CPU details that make the difference. A 1GHZ processor is faster than an 800MHz processor, for example. 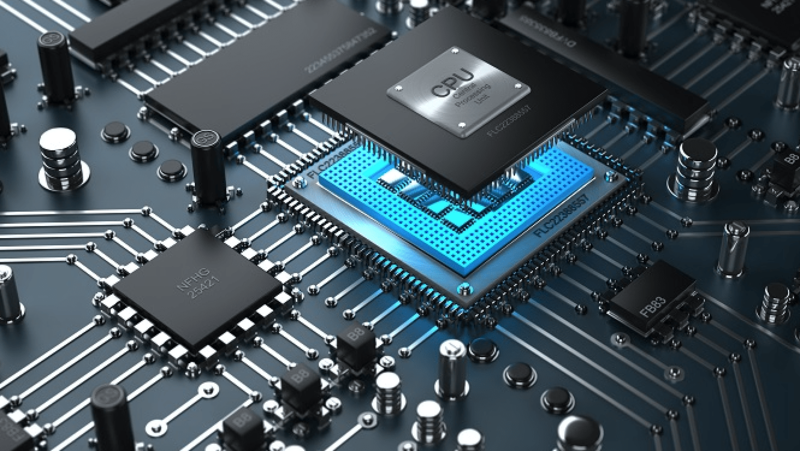 A processor described as ‘dual-core’ has more processing capacity because the workload is split over two CPUs instead of one. There’s another piece of kit inside your phone too, and that’s the GPU. That’s responsible for everything that you see, and how well it displays. If your phone has sharp, sleek HD visuals, you can thank your GPU for it. Just as with the CPUs, though, there are a limited number of companies who manufacture processors and GPUs. The main players in the market are Qualcomm (who make the Snapdragon processor), Samsung, Nvidia, and Texas Instruments. Even then, all four of them are building on basic technology provided by ARC. That means you’re getting four very similar versions of the same thing, presented with different labels. In simple terms, it means that you shouldn’t worry too much about the processor on your new phone. Yes, you’d like it to be dual-core because it will enable you to do more things with your phone efficiently. You’d also prefer it to be 1GHZ or higher because anything below that will soon be obsolete. Beyond that, though, it simply doesn’t matter. A sales representative working for a company will try to tell you that a Samsung processor is better than an Nvidia, or that Texas Instruments make better processors than Qualcomm. They’re entitled to say that because that’s their job. In reality, so long as you’re getting a current-generation processor with good speed, you won’t notice any difference in your phone’s ability at all. Processors do matter, but the label on them does not.